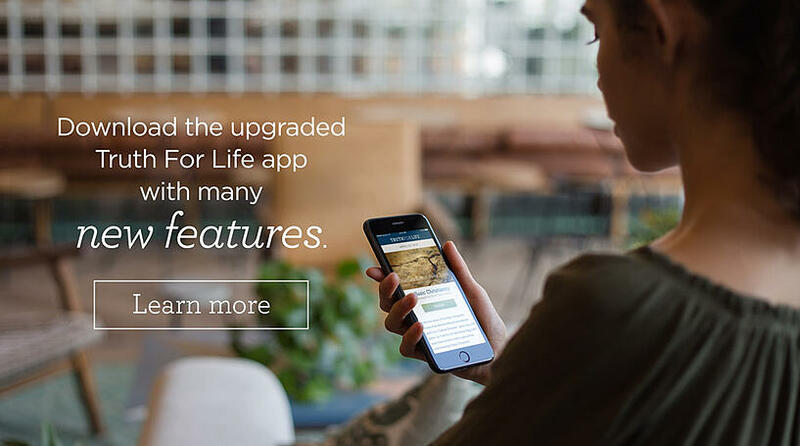 The upgraded Truth For Life mobile app makes it easy to share Bible teaching with others. Sermons, series, broadcasts, or daily devotionals can be easily shared simply by selecting the options icon in the narrow gray bar on the far right beneath the message you want to share. You can then select the “Share” option and choose how you’d like to share the message. You can share by text, email, or through social channels to which you subscribe. Share Alistair’s messages or daily devotionals with as many people as you’d like, as often as you’d like—there’s no limit.